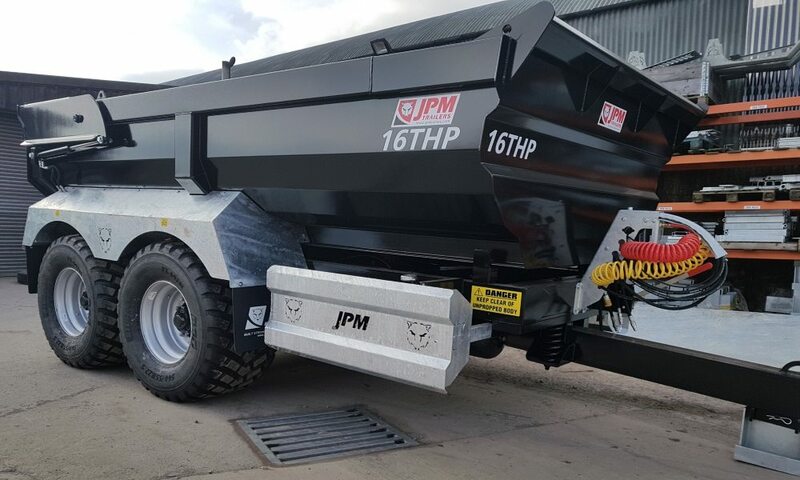 The JPM Half Pipe Dump Trailer range is available in capacities from 14t to 20t. 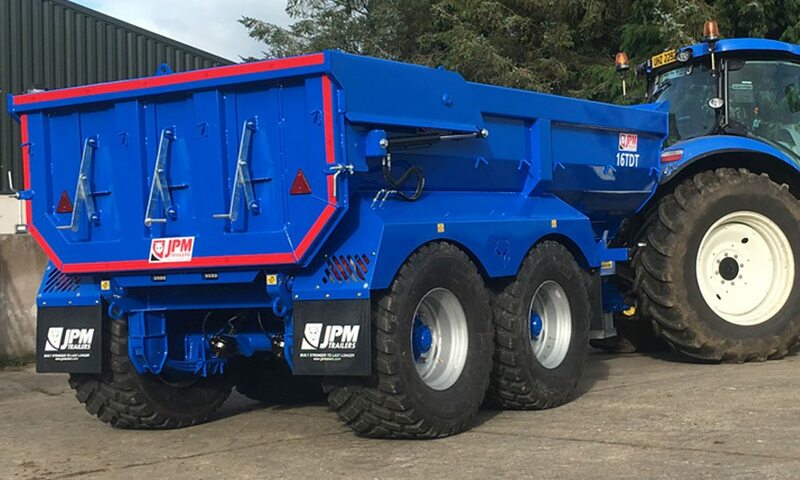 All models are running on multi leaf parabolic suspension, 445 /65 R22.5 wheels and commercial axles with 420 x 180 brakes as standard. Twin LED rear lights and LED beacons are also standard across the range. 14t and 16t models have 6mm sides and 8mm floors. 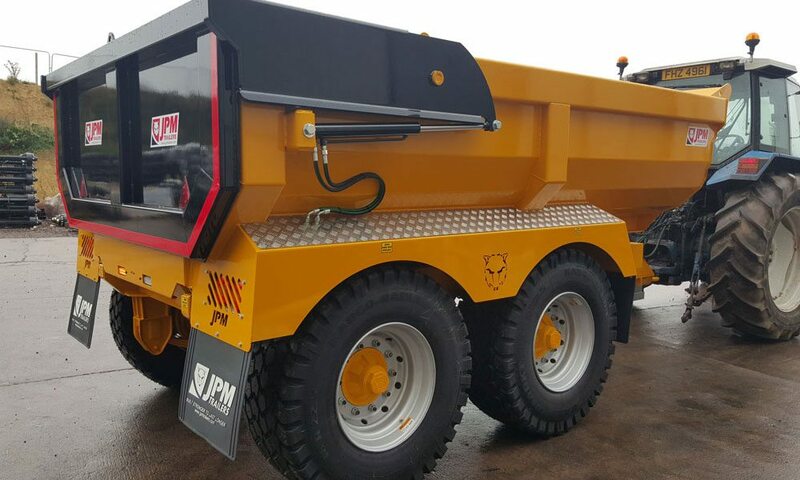 The 18t and 20 models are manufactured with 6mm sides and a 10mm floor. 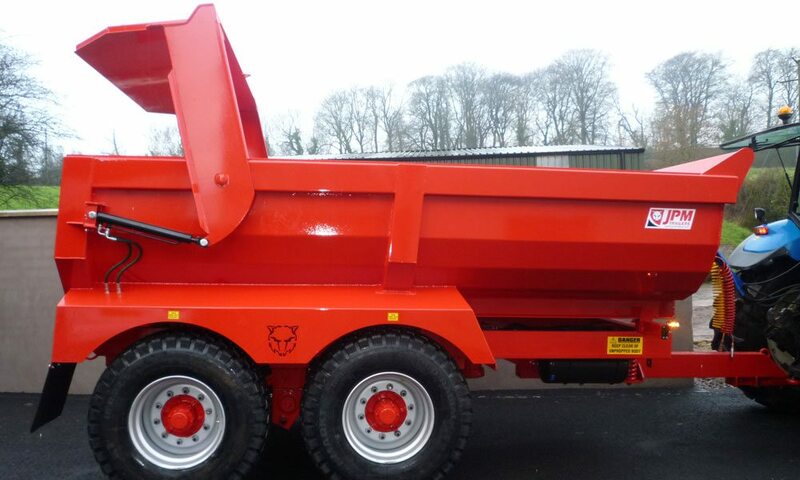 Other sizes and grades of material, such as Hardox, are available on request. 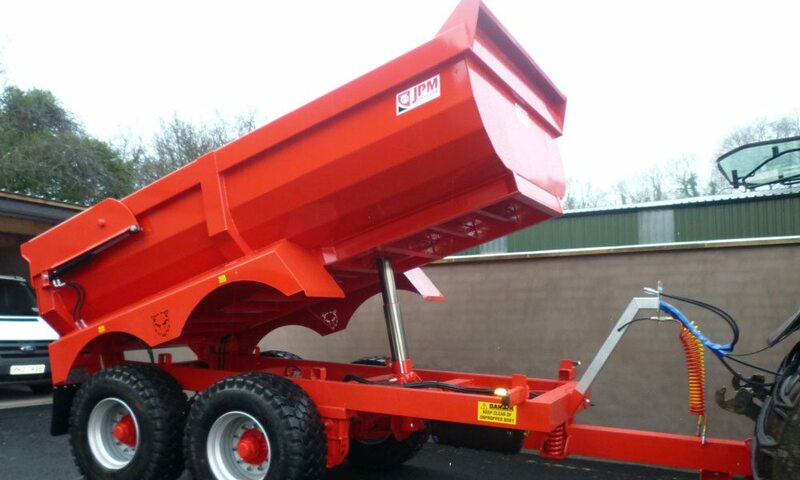 All Half Pipe dump trailers come fitted with a centre mount trunnion ram for faster cycle times. 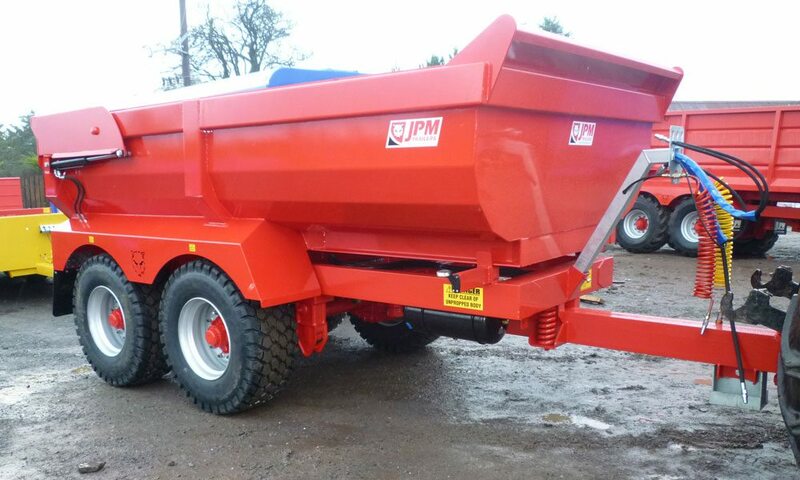 A hydraulic rear door and a sprung draw bar are also fitted to all models. 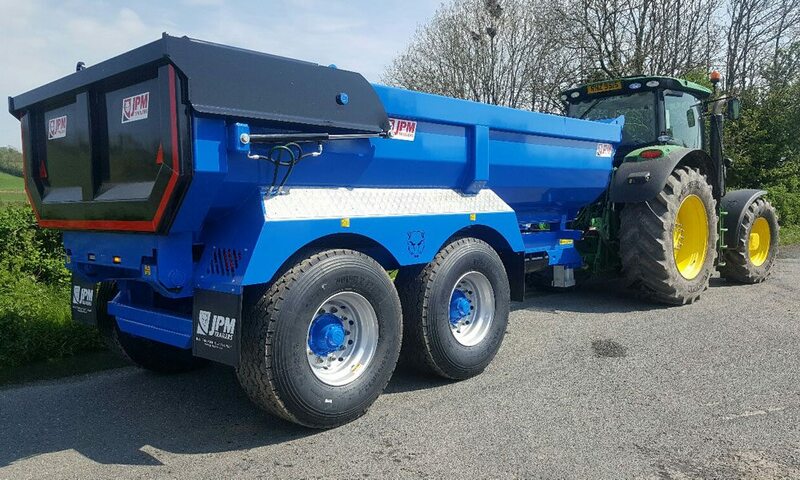 All trailers from the 16t upwards come fitted with air and hydraulic brakes. The air circuit is also load sensed for increased safety and less wear on the tyres.